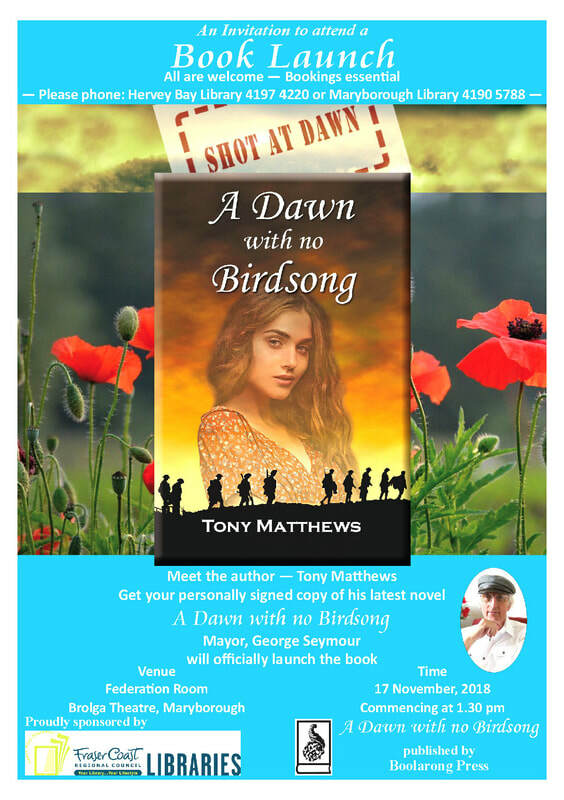 Hello and welcome to the official webpage for A Dawn with no Birdsong, a new novel by Welsh/Australian author Tony Matthews. 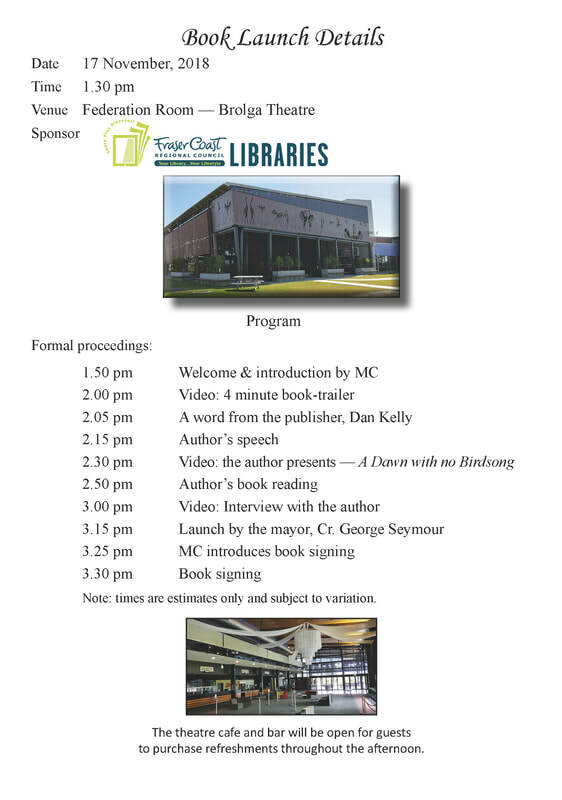 On this site you will be able to gain access to the fabulous video about the book and also a longer video in which Tony talks about the book and its incredible story. You can also connect directly with Tony. He'd love to hear from you and your comments are most welcome. 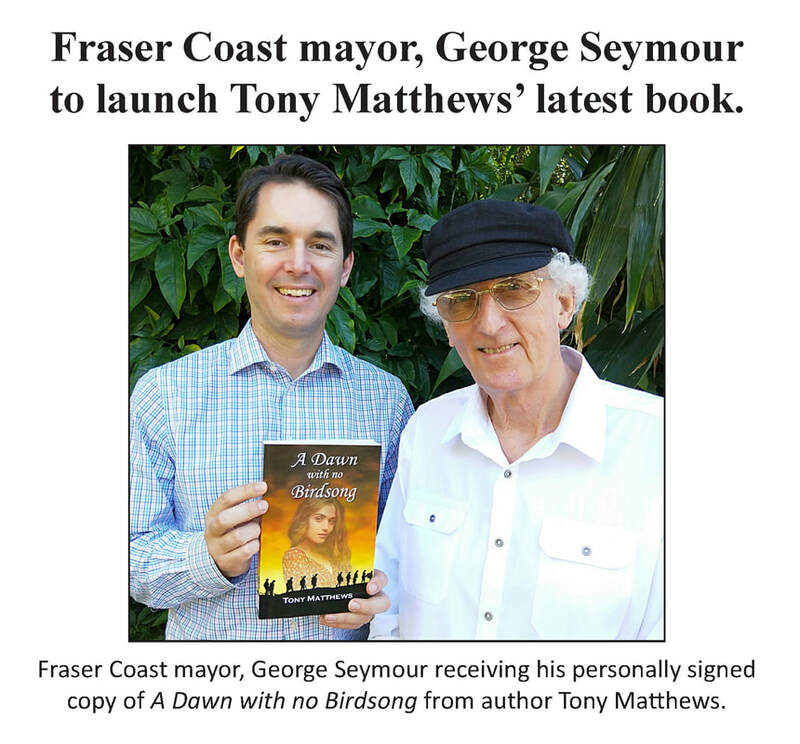 A DAWN WITH NO BIRDSONG WILL BE LAUNCHED OFFICIALLY DURING A SPECIAL FUNCTION AT THE BROLGA THEATRE AND CONVENTION CENTRE, MARYBOROUGH, QUEENSLAND, ON 17 NOVEMBER 2018. A Dawn with no Birdsong is also available at all leading bookstores and Amazon. on the above 'contact publisher' tag.